To celebrate the preservation of Mother Earth, BLAST900 is going green and offering two charity classes during the month of April with proceeds benefiting the Carolina Fair. BLASTBenefit classes are $20 per class with 50% of the proceeds going to further benefit the charity. Established fitness enthusiasts as well as newcomers are invited to participate in varied interval cardio conditioning enhancing their physical wellness as well as contributing to the advancement of environmental education efforts. Who: April proceeds benefits the Carolina Green Fair. 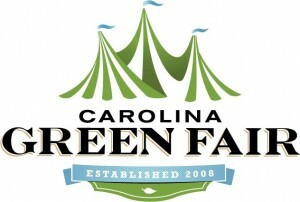 Carolina Green Fair raises awareness of the sustainable choices available in the Carolinas by educating both consumers and businesses with waste free, environmentally responsible events. Cost: $20/class, cannot be used in conjunction with previously purchased packages. Sign up for BLASTBenefit classes at www.blast900.com/charleston/schedule.html. BLAST900: The Ultimate Workout offers a more efficient way of achieving fitness goals with interval-based classes. Each 60-minute workout consists of short but intense blocks on state-of-the-art treadmills alternating with challenging full-body strength intervals. BLAST900’s highly trained instructors provide an all ages workout where everyone can train at their own pace as a walker, jogger or runner. BLAST900 is an efficient and exciting way to change how you look, feel and perform by shedding unwanted fat while simultaneously building and toning muscle. For more information about BLAST900, photos or press kit, please contact Lorrie Dixson at lorrie@eskimoadvertising.com or visit www.blast900.com. This entry was posted on March 28, 2013 at 1:41 pm and is filed under Sales & Events with tags BLAST900, blast900 charleston, BLAST900: The Ultimate Workout, BLASTBenefit, Charleston environment, charleston fitness, charleston fundraiser, Charleston green, Charleston Green Fair, charleston non-profit, joey welling, www.blast900.com. You can follow any responses to this entry through the RSS 2.0 feed. You can leave a response, or trackback from your own site.